On Wednesday, William Nylander told the media he's going to be making his season debut with the Leafs against the Red Wings. Thursday ahead of the game, Nylander returned to practice with his teammates and based on the lines, it looks like he's going to be thrust right back into a prominent spot. 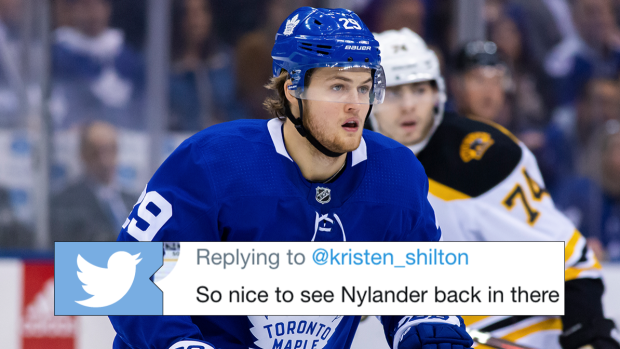 Nylander will skate alongside Auston Matthews and Patrick Marleau when he makes his debut and the pairing of Matthews and Nylander is one fans are familiar with and excited about. I look at this lineup and I see a powerhouse all the way. It reminds me of Boston a few years ago.